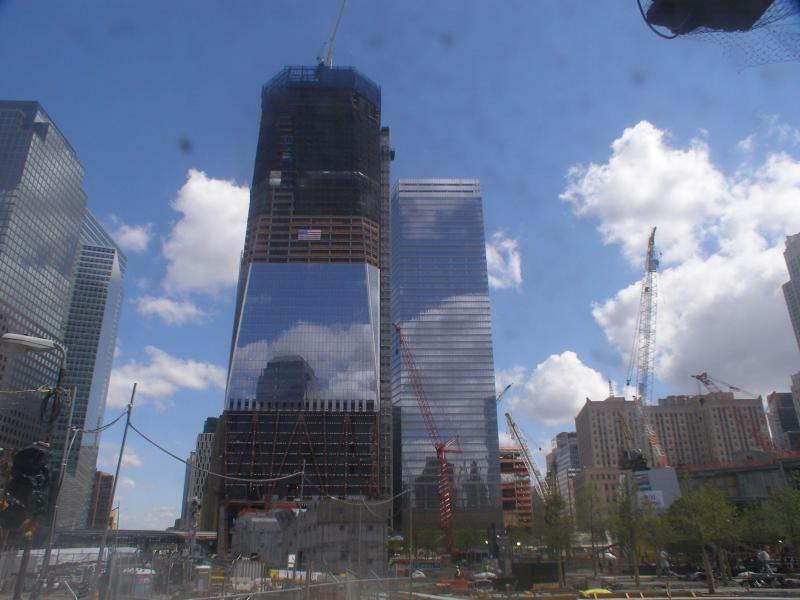 Steve Cuozzo of the Post suggests retiring the name Ground Zero because of the connotations it possesses, and that we should again be calling it the World Trade Center (WTC). After all, Towers 1 and 4 are being built and are reaching to impressive heights, and the transit hub is well underway. The memorial's above-ground features are largely in place. 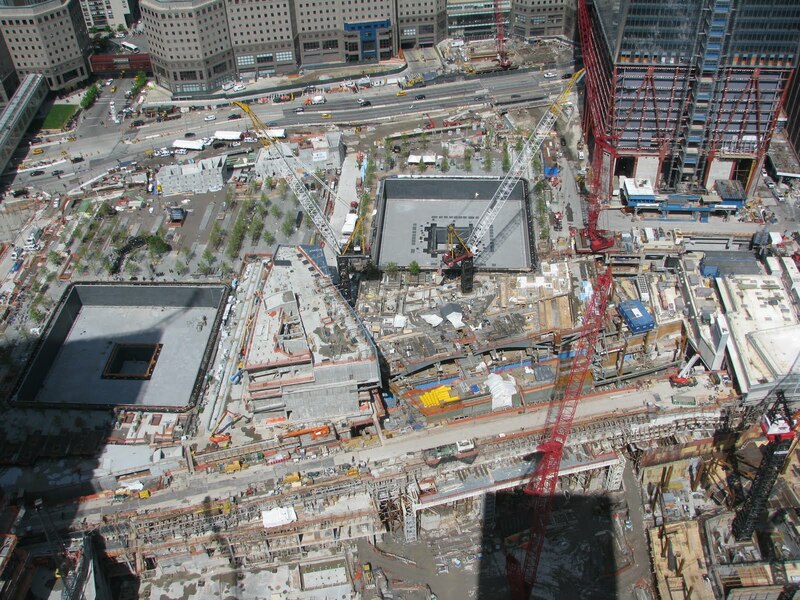 I've used the terms mostly interchangeably over the years since 9/11 - headlining Ground Zero as part of my ongoing coverage of the fight to rebuild. In time I figure that people will again call it WTC; the Port Authority pretty much made the call to keep the WTC moniker when they reestablished PATH service in 2003 just months after the site was cleared of much of the debris. The MTA too calls it WTC. 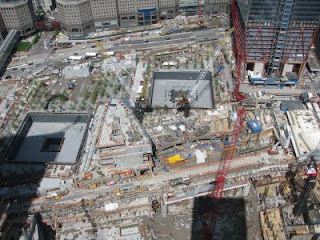 I guess that people of a certain age will also know the site as Ground Zero, while others will see it as WTC. As for the 9/11 memorial, one of the key features is the presentation of the names of all those murdered by al Qaeda on that fateful day both here in New York City and those in Pennsylvania and Washington DC, as well those murdered in the 1993 WTC bombing that preceded the 9/11 attacks. In essence, that is what the National September 11 Memorial and Museum issued on Wednesday: a clear, navigable computerized guide to the location of every name inscribed on the bronze parapets that are being installed along the perimeters of the pools where the World Trade Center towers once stood. It is the last critical design detail to be announced in a process that began more than seven years ago with the naming of Michael Arad and Peter Walker and Partners as architects of the 9/11 memorial. The memorial is to open to family members on Sept. 11 and to the public, by reservation, the next day. That adjacency might mean the victims were close friends or fond acquaintances, were related by blood or marriage or simply common interests, that they bowled together or dined together. It was up to victims’ relatives to make a request. “It really enriches the memorial,” he said. “It allows families’ and friends’ stories to be told.” He said the “river” of names, without other identification (like age or title or company affiliation), was meant to convey simultaneously a sense of individual and collective loss. Pains were taken in laying out the names to ensure that Person A would be next to Person B, while Person B would be near Person C. And so on. “It involved a combination of the most complex computerized algorithms and the most basic analog function of pinning something up on the wall,” Mr. Arad said. Announcement of the names arrangement was not timed to coincide with President Obama’s visit to the World Trade Center on Thursday, said Joseph C. Daniels, the president and chief executive of the memorial and museum. The arrangement does not go nearly as far as some family members had hoped in specifying where victims were employed, on what floors they worked and how old they were. But it is a significant change from the purely random system once advocated by Mayor Michael R. Bloomberg, who is chairman of the memorial foundation. In a compromise reached in 2006, victims were grouped by north and south tower, or by flight, with panels set aside for victims at the Pentagon and those who died in the 1993 attack on the trade center. A separate section was set aside for “first responders,” principally firefighters and police officers. The WTC Memorial CEO Joe Daniels has announced that access to the memorial will be provided through a free ticketing system available online. Memorial CEO Joe Daniels said Thursday that the online ticketing system will be activated sometime in July. The memorial will open to victims’ families on Sept. 11. Once it’s open to the public, starting Sept. 12, priority will be given to visiting family members. The memorial will be the first thing that opens on the 16-acre World Trade Center site. It will be surrounded on all sides by construction activity. Daniels said memorial visitors will be instructed to report to a location south of the site.